Mr. Md. Sabur Khan, Chairman, BoT, Daffodil International University and M. Shahjahan Bhuiyan, Managing Director of United Commercial Bank Ltd attended the Signing Ceremony of an agreement between the organizations. 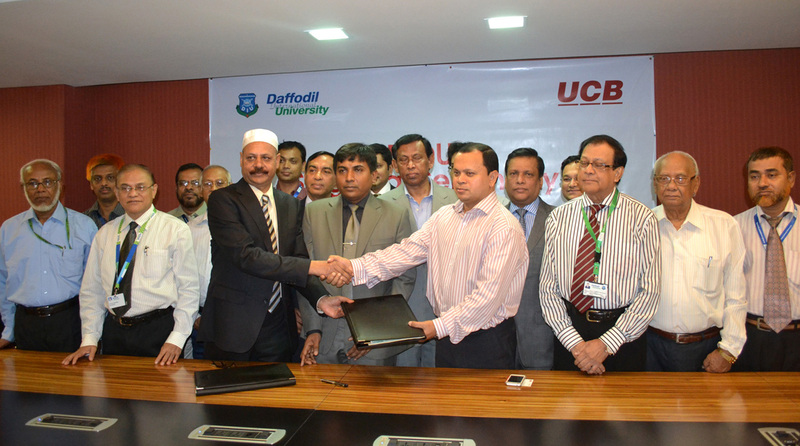 Daffodil International University became a corporate client of United Commercial Bank Ltd (UCBL).